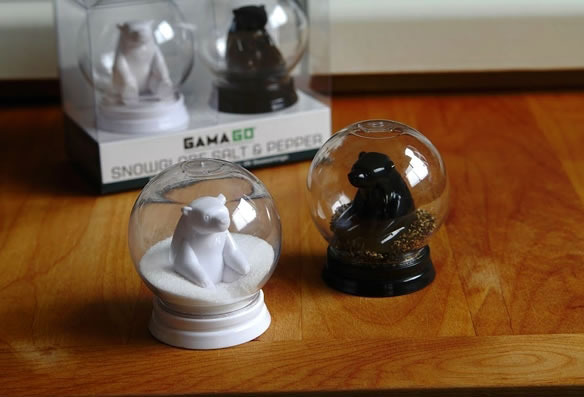 People really like to collect snow globes. Anything from the snow globes you get on vacation, to Christmas versions, to those with your favorite characters in them. Well, if you are a lover of the snow globe, put them out for dinner with these Snowglobe Salt & Pepper Shakers. They combine two great things into one. 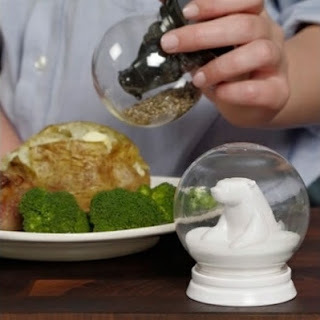 The snow globe and the salt and pepper set. These have white and black polar bears so that you always know which is the salt and which the pepper.